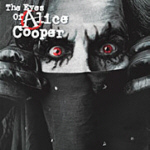 Produced by Greg Hampton, Danny Saber and Alice Cooper. Mixed by Danny Saber at Encore Studios, Burbank, CA, May 2008. Additional Mixing by Fabrizio Grossi for Sounds of Pisces Music. Recorded at Wonderland Studios, Hampton Hacienda, Undercity Recording. Mixing Engineers; Tip Wyman, George Gumbs, Paul Bailey. Mastered at Oasis Mastering by Eddie Schreyer. 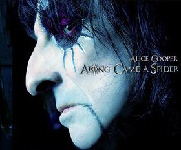 'Along Came A Spider' was originally aimed at 2007, but problems with producer scheduling caused it to slip back a year. Many songs and demos were prepared during 2007. Further recording and writing took place in February 2008 with the album completed in April 2008. 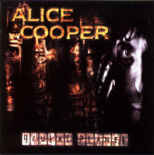 Alice told Billboard.biz that the album is "a real 'Alice' album. Conceptually, it's going to be pretty interesting" and said the album is based on a fictional serial killer named Spider, who wraps his victims in a silk web. "Every song is sort of a letter to the police," he explains. "They think they're investigating it from the outside, but he's actually woven them into the whole thing." click album cover to buy ! Copyright � 1997 - 2016 KISS-Related Recordings.